Congressional conferees have agreed upon a measure funding the Federal Aviation Administration (FAA), and it contains a few perks for air travelers. The measure funding the agency for the next five years requires the FAA to set minimum standards for the width of seats and for legroom. Currently, airlines can make the configuration of the aircraft cabin as cramped as they like, as long as they meet safety standards. 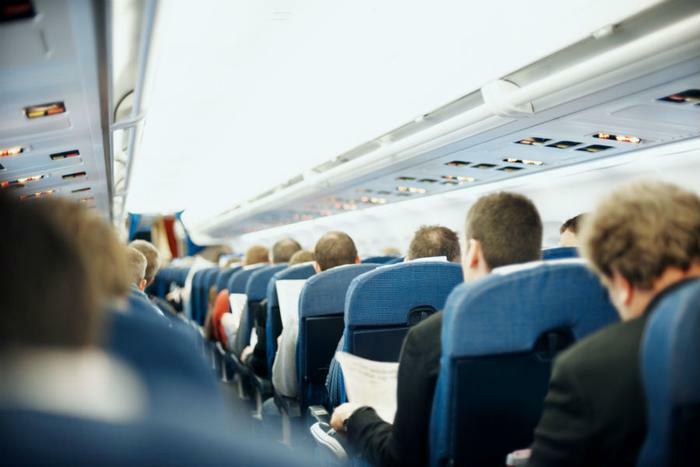 The measure would also prohibit airlines from involuntarily bumping passengers after they have already boarded a plane. The bill is a compromise between House and Senate versions of the legislation but still must be passed by both houses of Congress. Consumer advocates wanted the legislation to also bar airlines from imposing "unreasonable" fees but that didn't make it into the compromise version. The provision requiring the FAA to regulate seat size and leg room is a major victory for consumers, and one that is somewhat unexpected. Back in July, the consumer group Flyer's Rights held out little hope it would be included in the FAA reauthorization bill. In fact, the FAA had previously declined to tell airlines how large the seats had to be and how much legroom they should give passengers. Congress, however, appears to be forcing their hand. Despite the apparent benefits for consumers in the legislation, the airline industry appears to be happy with it. The trade group Airlines for America urged lawmakers to quickly pass the compromise reauthorization bill, noting it contains a lot of money to support commercial aviation. "The long-term reauthorization is essential for the FAA to advance projects and implement programs that advance our country's status as the safest, most efficient aerospace system in the world," said Airlines for America CEO Nicholas Calio. He said the bill will give employers, manufacturers, and consumers the certainty required to keep building and investing in the U.S. aviation industry. Senate Commerce Committee Chairman John Thune (R-S.D.) said he expects Congressional passage of the bill before FAA funding expires September 30.